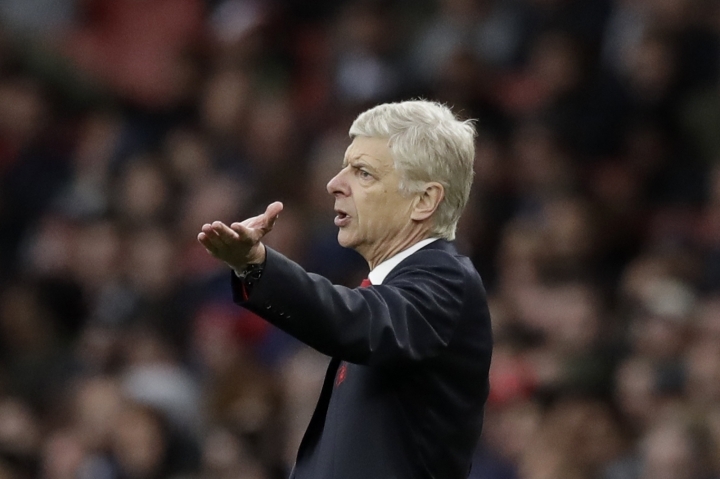 LONDON — The English Football Association has banned Arsenal manager Arsene Wenger from the touchline for four matches after an altercation with a match official. Wenger escaped a stadium ban for shoving fourth official Anthony Taylor in the tunnel area at Emirates Stadium on Sunday during Arsenal's 2-1 victory over Burnley in the Premier League. The FA says Wenger "used abusive and/or insulting words towards the fourth official" when he was sent off by the referee. The FA added that "following his dismissal from the technical area, his behavior in remaining in the tunnel area and making physical contact with the fourth official amounted to improper conduct." Wenger was also fined 25,000 pounds ($31,300) after admitting to the charge. The touchline ban starts Saturday when Arsenal plays Southampton in the FA Cup.